For more information, or to receive a free estimate please contact us using the form or information below. We look forward to working with you. 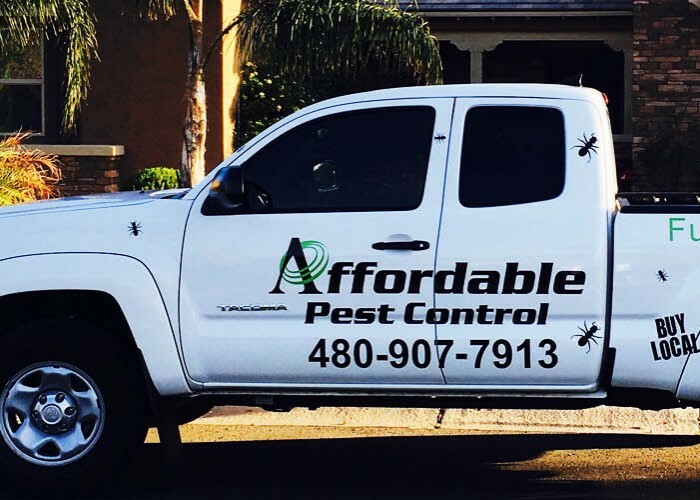 Since our beginning in 2013, the team at Affordable Pest Control has been committed to the highest level of customer satisfaction and safe, effective pest management services. Our company serves customers across East Valley communities including San Tan Valley, Florence, Apache Junction, Mesa, Chandler, Gilbert and Queen Creek AZ. We are proud to provide residential and commercial pest control services. We are a locally owned and operated company and strive for same day service and are committed to quality pest management and elimination. Our company will help you rid your home or business of many pests common to Arizona. This includes bees, scorpions, earwigs, ants, wasps, black widows, spiders, cockroaches, centipedes, millipedes, and more.